John Kenton Britten was a New Zealand mechanical engineer who designed a world-record-setting motorcycle with innovative features and materials. A dyslexic, he needed to have exam questions read to him at school and during his tertiary education, and his answers recorded by a writer, but that didn’t stop him from developing into a remarkable engineer and designer. 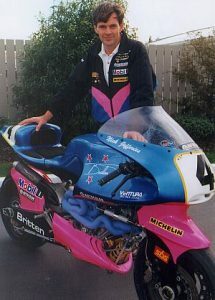 The Britten motorbike , now on display at Te Papa Museum in Wellington (New Zealand), broke world records and won numerous races including the Isle of Man where it recorded the fastest top speed.